1. "Nelson" complete with shirt, cravat, breeches, sash, coat, hat and shoe buckles. 5. Regency Group of ladies from Bristol Opera production of "Eugene Onegin"
6. 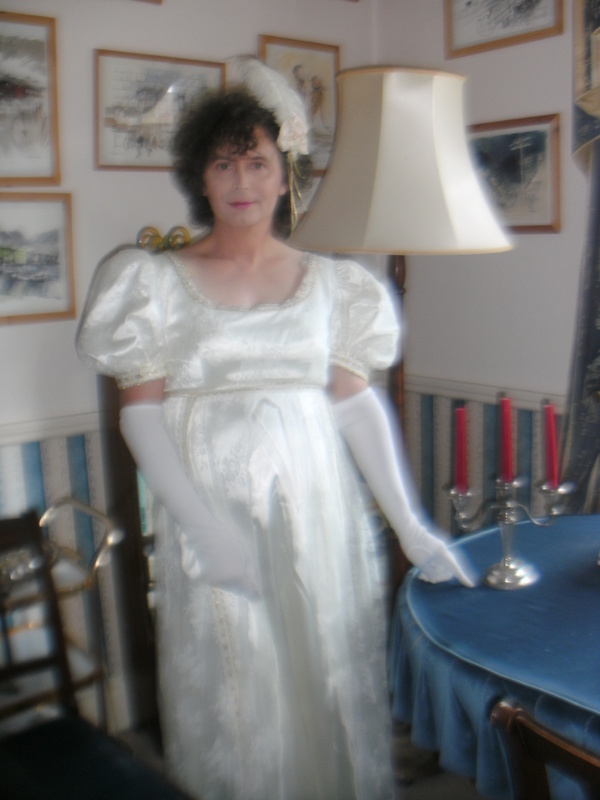 Regency white sequin and pearl trimmed dress made for "My Fair Lady" with feather headdress.